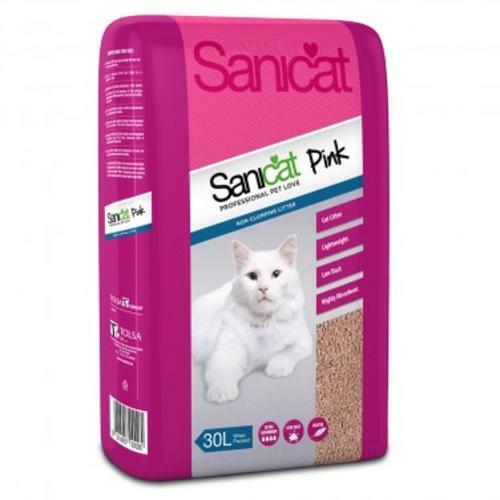 Sanicat pink cat litter is a convenient lightweight litter made from natural Danish moler clay. Each grain os super absorbent helping inhibit bacteria and the development of odour. When your cat urinates on this litter it releases a clean fresh scent. The cat litter changes colour making it easier to spot the areas that need cleaning.